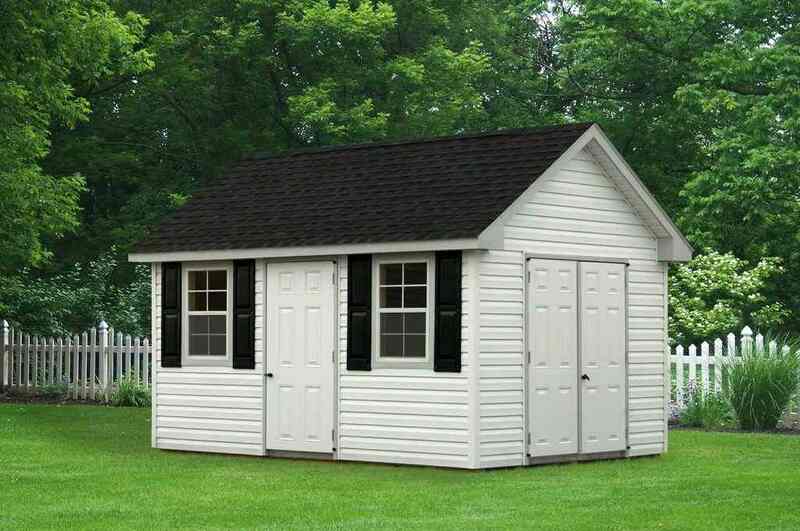 The Cape Cod Styling is similar to the Peak Style but has a steeper roof pitch. 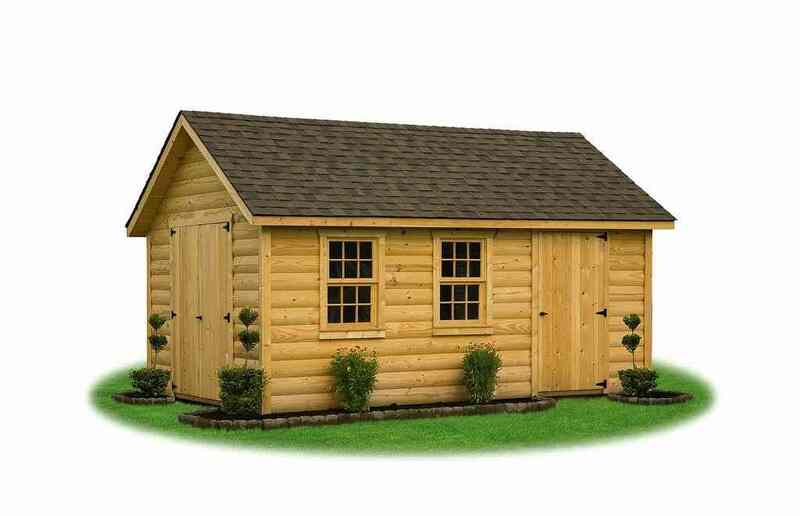 This popular storage shed design is more attractive and sheds snow more easily, taking stress and strain off of the roof structure under heavy wet snow conditions. 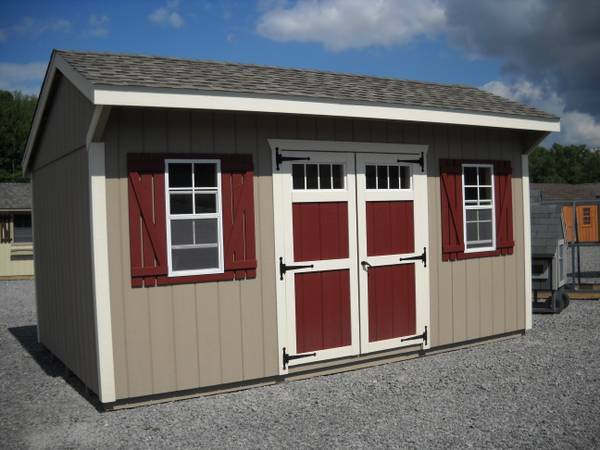 This model features an 18″ overhang on the front side eaves over the doors and the windows. 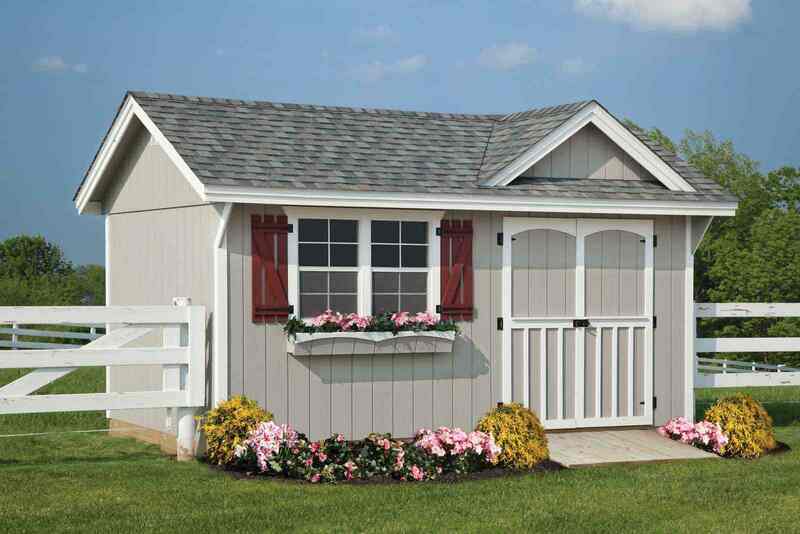 The off-center roof line gives your building a distinct look to compliment your landscape. 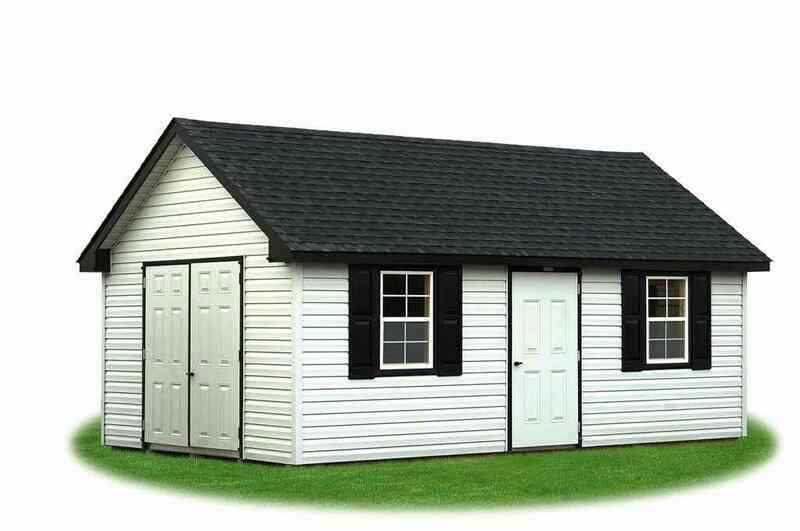 Cottage style features an offset saltbox slope roof. 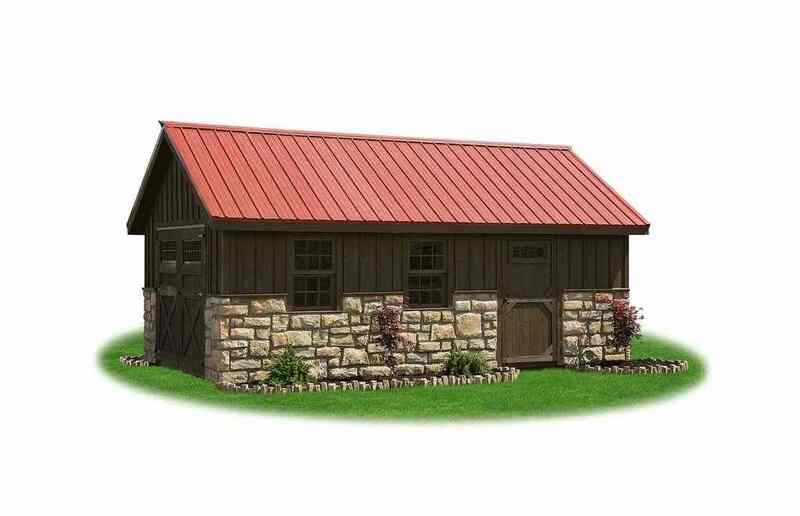 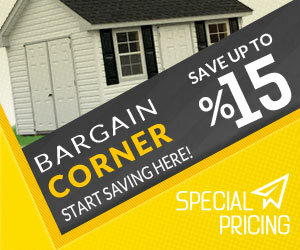 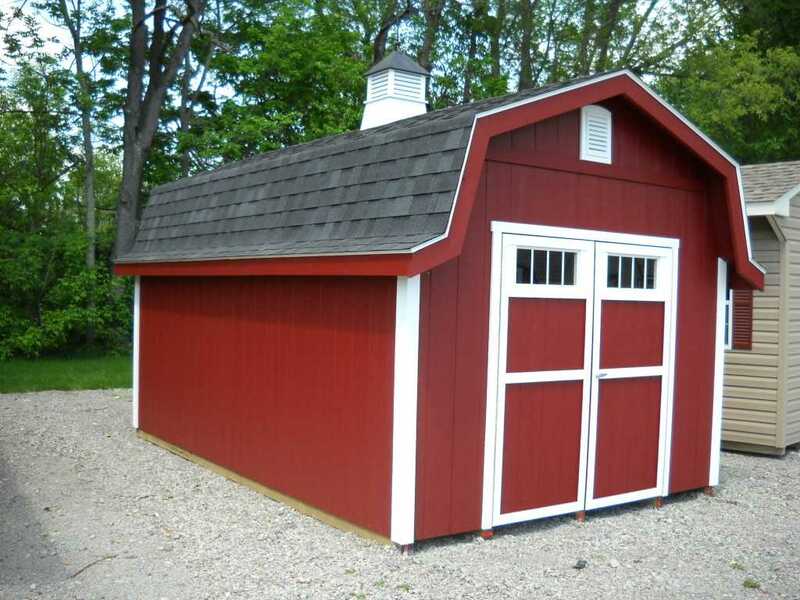 Available in 17 standard sizes from 6×6 through 12×40 in a variety of siding and color options.